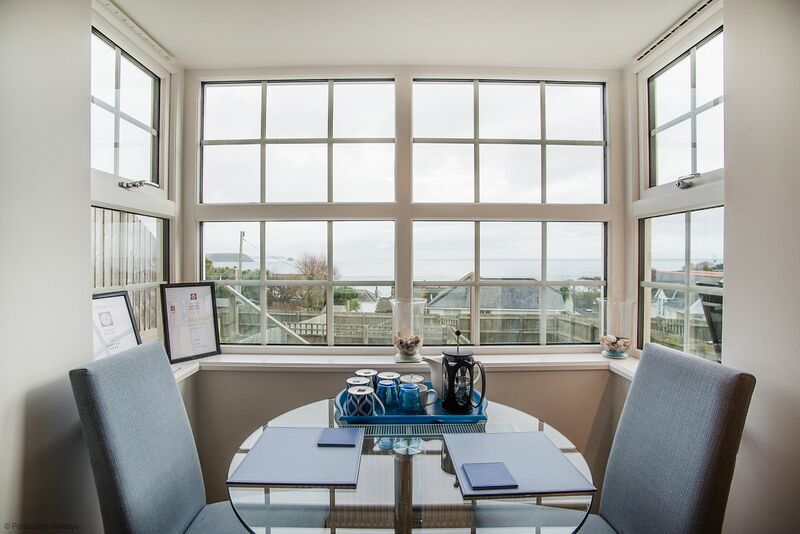 Seascape has some of the best elevated sea views in Portscatho, sleeping 6 persons in comfort and only a couple of minutes walk from the centre of the village. 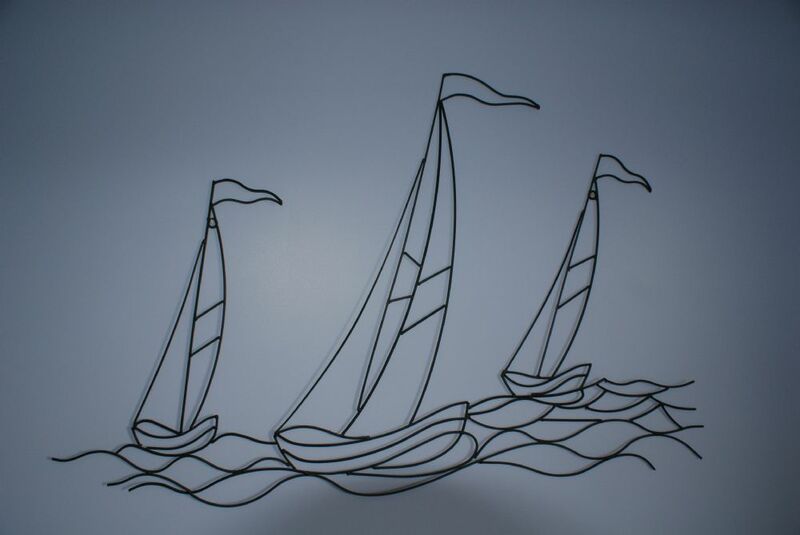 The sea views stretch from Porthcurnick beach to the harbour via Nare Head and Gull Rock. On a clear night you should be able to see the Eddystone light house almost 40 miles away! 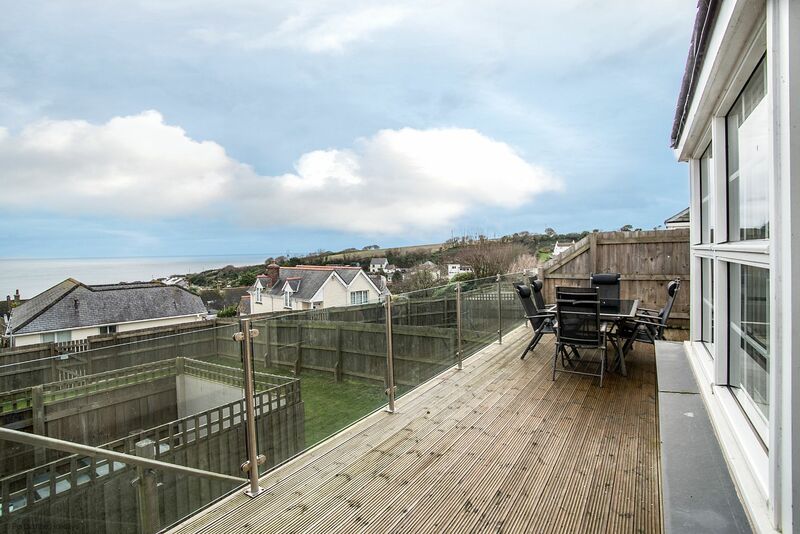 This large detached property is part of a new development that was completed in 2011 and has lovely sea views from all but one of the principal rooms. The village facilities include a post office, a very well stocked convenience store with an in house bakery, butchers, restaurant, art galleries, and a pub. 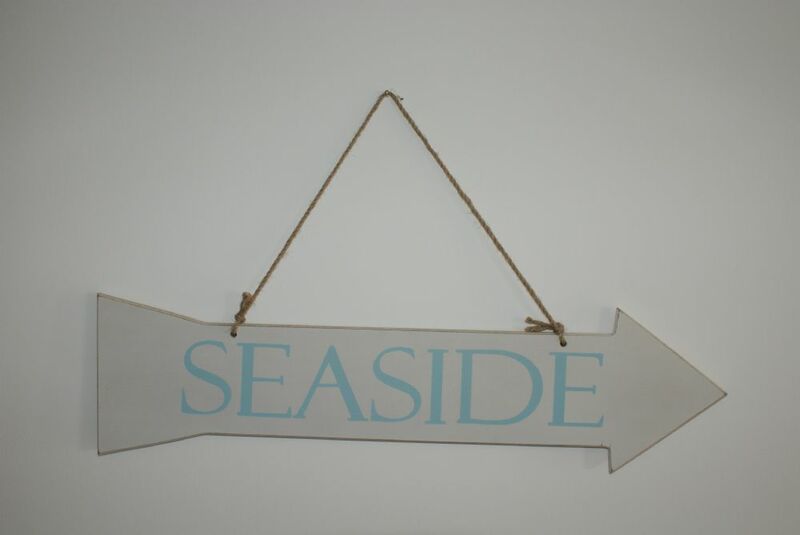 There is a small beach in the middle of the village, and the larger and sandy Portscurnick beach is a 15 minute stroll away. For those who enjoy walking the South West Coast path passes about 100 yards away. 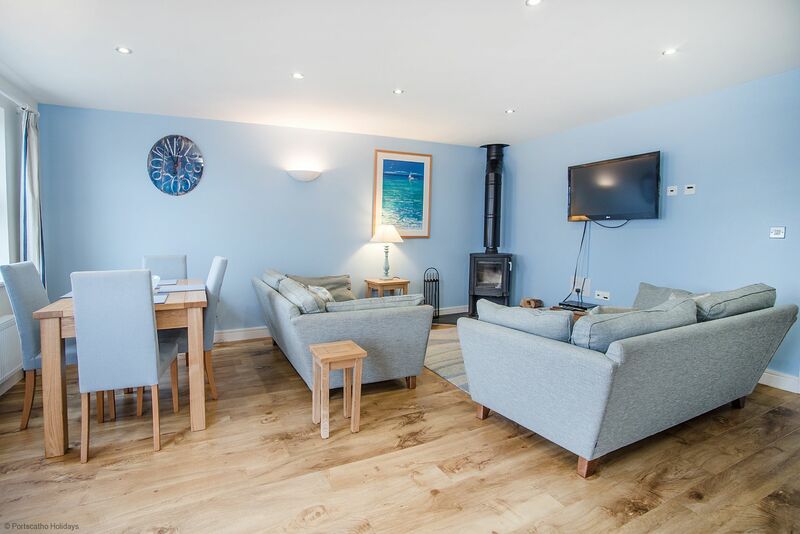 The good sized entrance hall leads to the large lounge/dining room that has extensive sea views of Gerrans Bay, a wood burner, TV, DVD, WiFi and telephone. 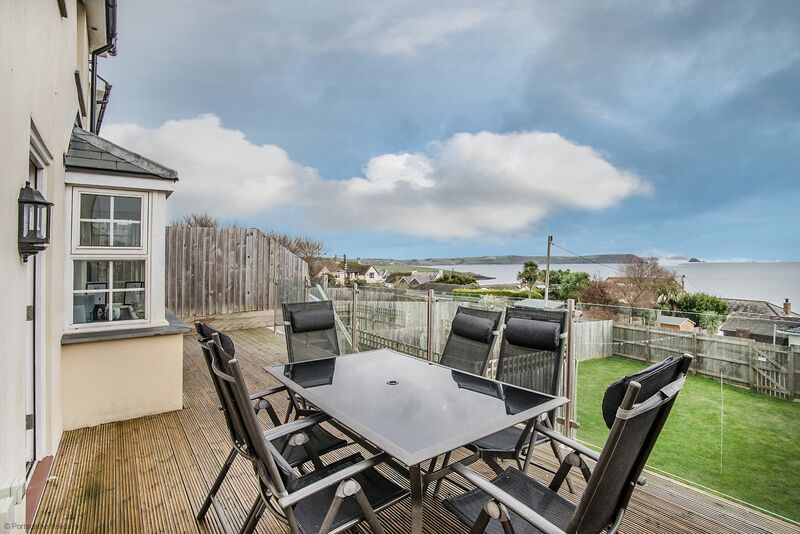 A patio door leads out to the raised decked area with garden furniture that stretches across the whole of the rear of the property - a super sun trap spot to take in the views and enjoy a leisurely meal. Steps lead down from the decking to the lawned rear garden. 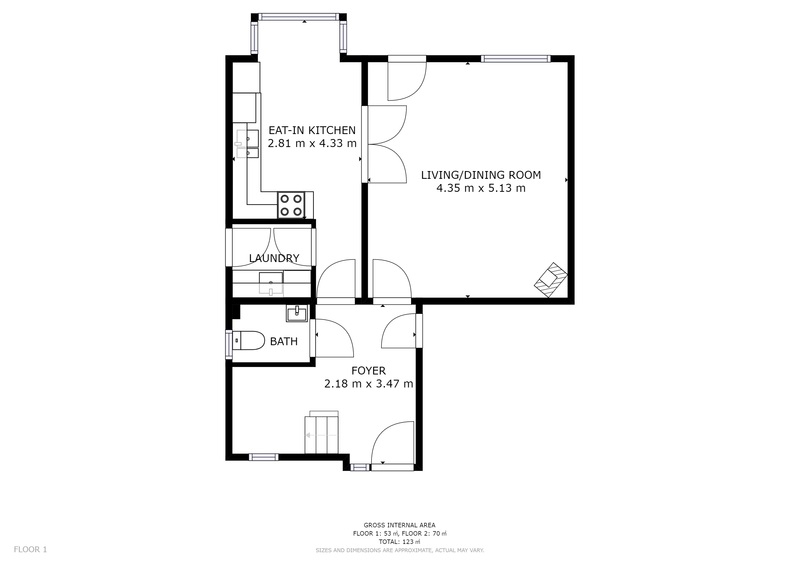 The well equipped and spacious kitchen is accessed from the hall or through double doors from the dining area. 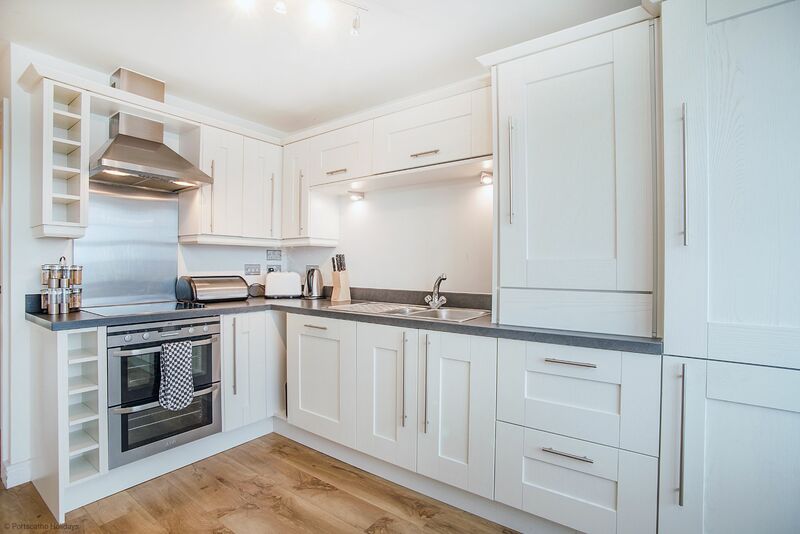 Equipment includes a double electric oven, ceramic hob, fridge, freezer and dishwasher. 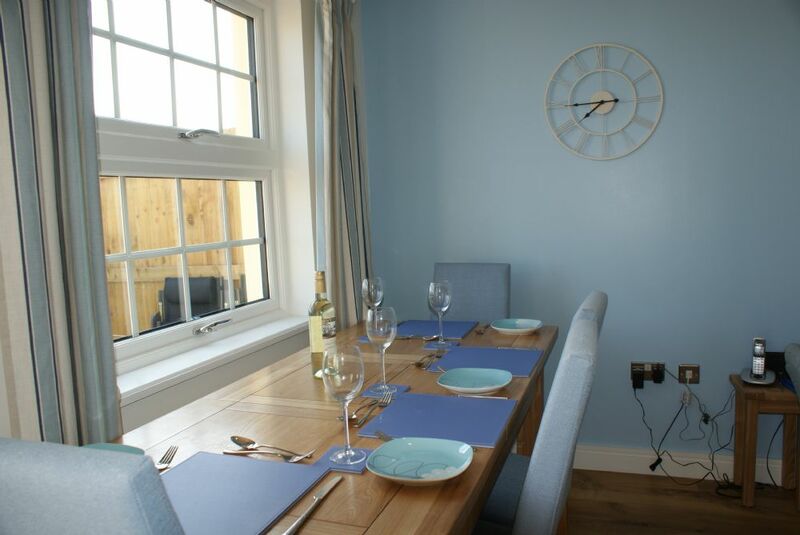 There is also a table with two chairs at the kitchen window to make the most of the sea views. 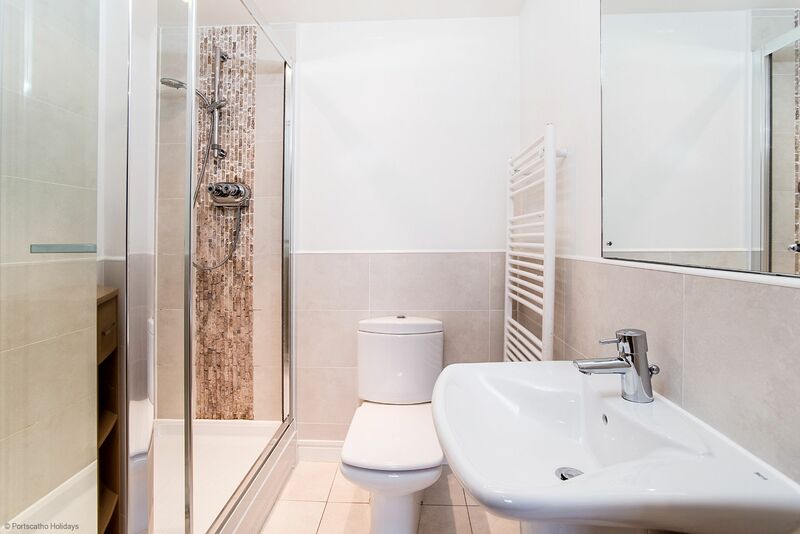 The utility room off the hall houses a microwave oven, washer/dryer and a useful sink, together with a door that leads outside. 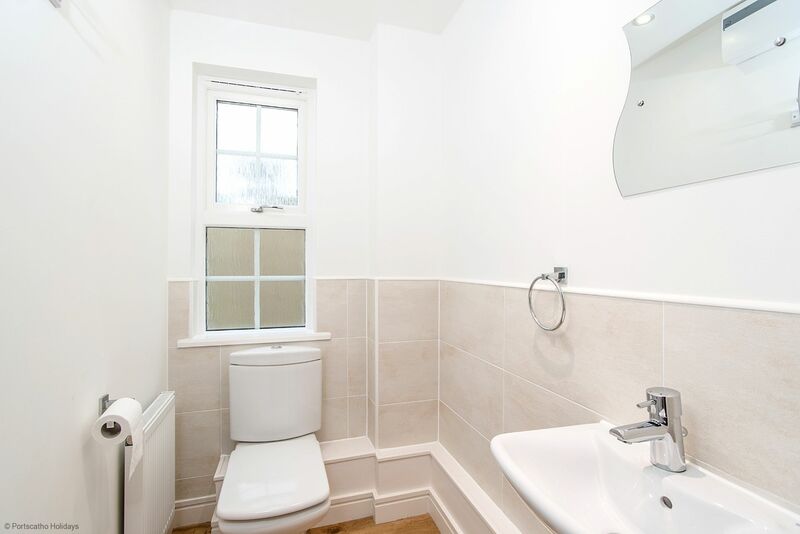 There is a useful cloakroom on the ground floor with WC and wash hand basin. The whole of the ground floor has oak flooring. Stairs from the hall lead to the first floor with three bedrooms and the family bathroom. 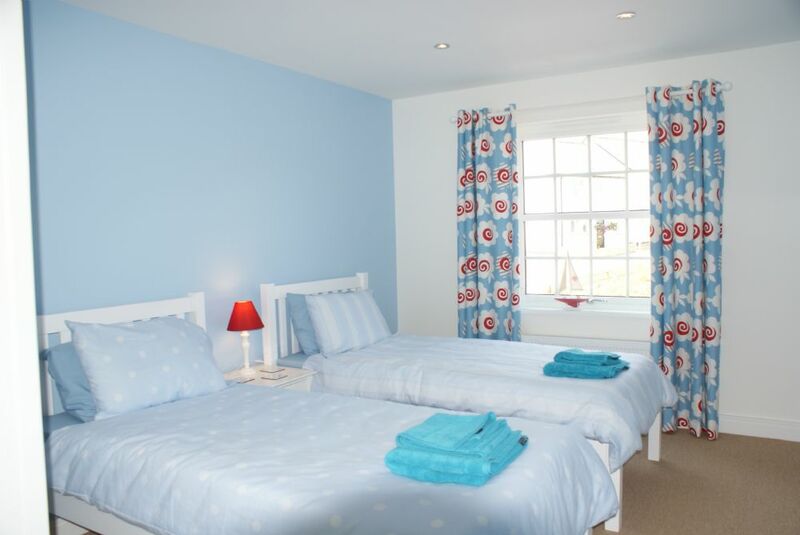 The large bedroom (King sized bed) is en suite with a shower, WC and wash hand basin and has great sea views. 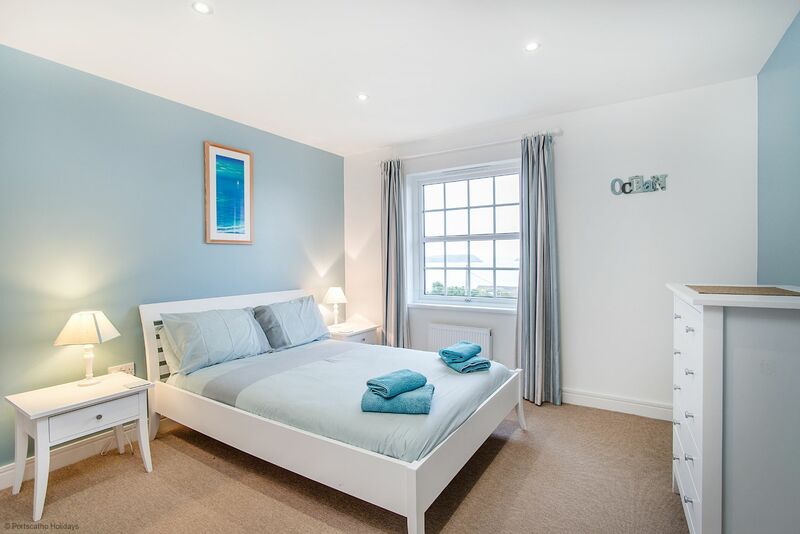 The second bedroom is nice and spacious and has a double bed and super sea views. 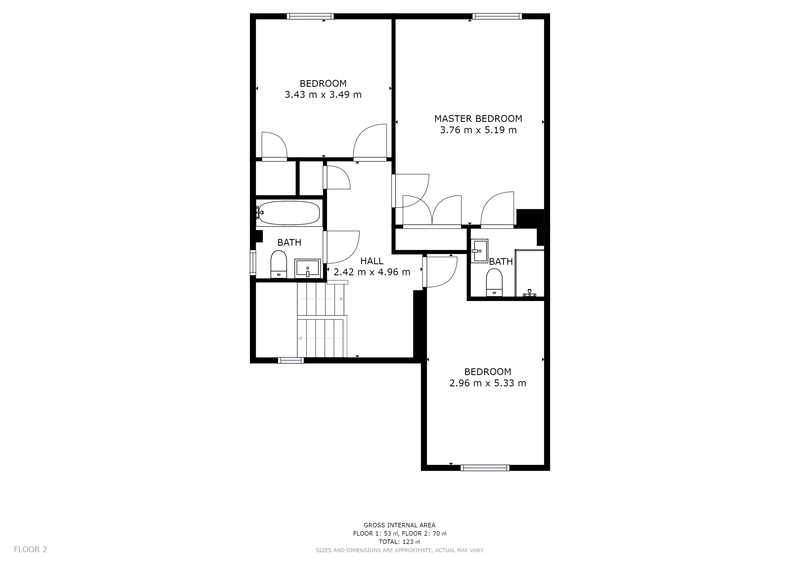 Bedroom three is a twin bedded room. 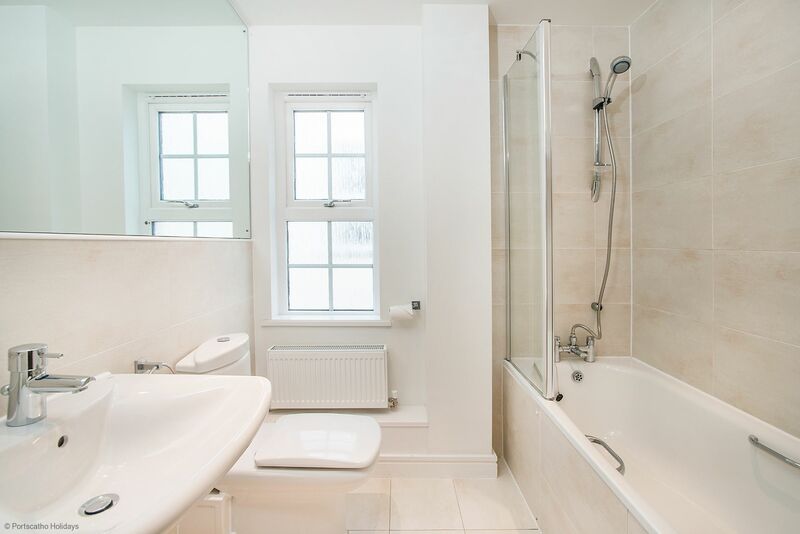 The family bathroom has an overbath shower, WC and wash hand basin. 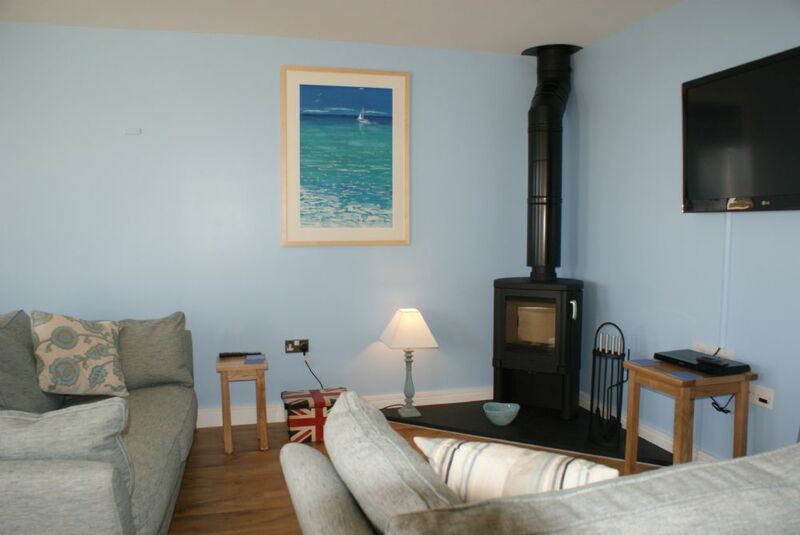 Seascape has full oil fired central heating, and a lovely contemporary feel to make up a super holiday home. There is parking for two small cars, or one medium/large car. 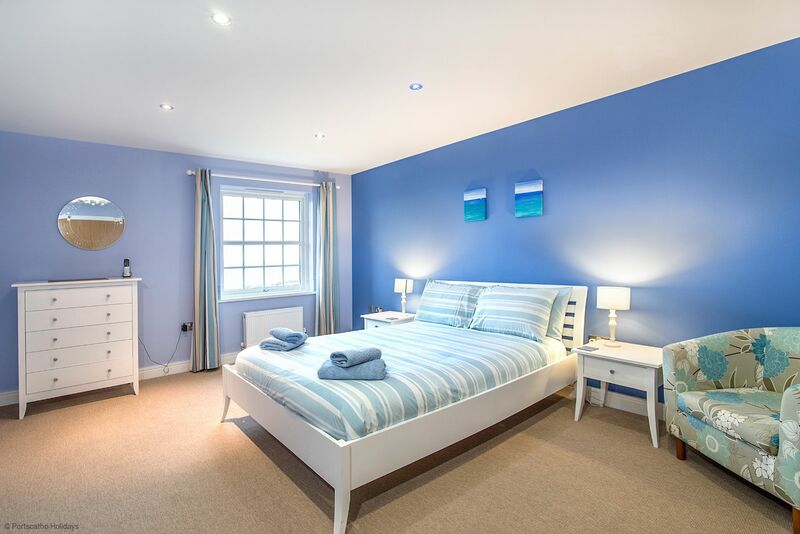 Seascape - 175214 Seascape has some of the best elevated sea views in Portscatho, sleeping 6 persons in comfort and only a couple of minutes walk from the village. 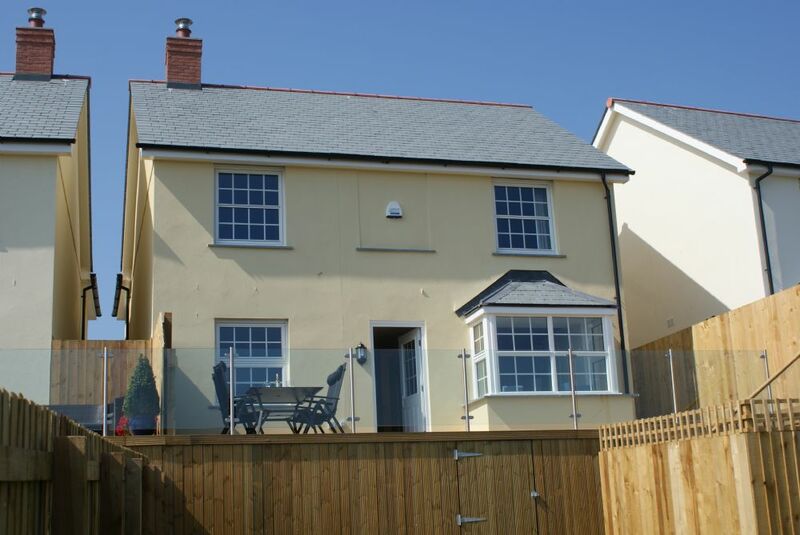 "This is an excellent property in a great location close to the beach and local pub and shop. The house was very clean and decorated to a high standard. It was a lovely place to spend 2 weeks. The area is beautiful and extremely relaxing, I will definitely be back Thanks to all"
Return to a favourite holiday village. Another lovely cottage. "We'll be back and we'll use the same holiday company! 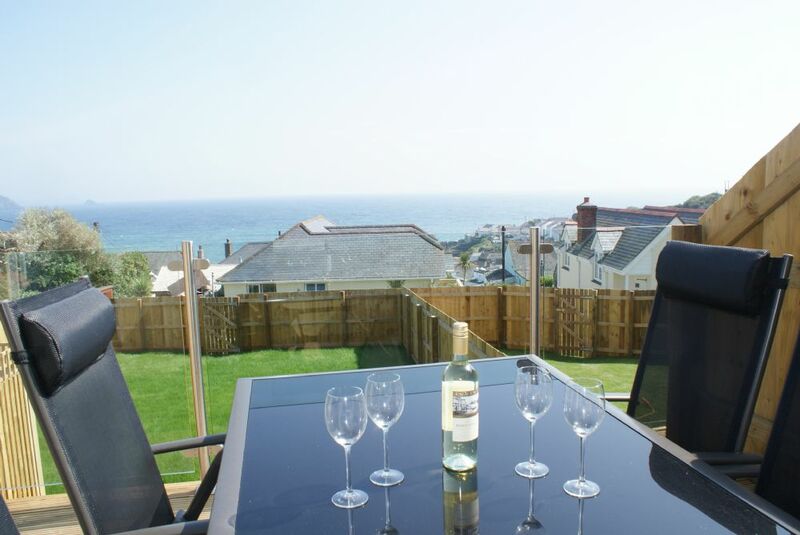 We love Portscatho and hope to return very soon. "